Did you know that your business email list might be your biggest asset? No matter how you build it, it’s been proven … without a doubt … that your email list is a virtual goldmine. But only if you know what to do with it. Now that I think about it, even when I was a kid, I was fascinated by the direct mail business. The mail order business as it was once called. Some of the best books I ever read about marketing involved the mail order business. A multitude of awesome companies were started by “mail order”. Cabelas, LL Bean, Bass Pro Shops and too many more to name here. You know what mail order is if you’ve been around long enough. In fact, that’s what Amazon does now. Somehow, you ended up on a mailing list. Either you bought something or signed up for something. And being on one or more of those mailing lists meant that your mailbox was full of “junk mail” just about every day. And I loved it. I couldn’t wait to open the envelopes and peruse the offers. Such amazing products … and information … all available to me by simply responding to the offer. I remember studying how direct mail worked. There was a group of gigantic books called “The Standard Rate and Data Service.” I even pulled them out at the public library. Heavy huge volumes. These books contained thousands of mailing lists … some with millions of names … all categorized by type, price, origin and more. A mailing list … for a direct-mail offer … could be found for anything. In any category. And then along came the world-wide web. And I’m so thankful for Al Gore for inventing it. I know the SRDS is still being used. Google it. I haven’t studied how they’ve evolved but their lists can be used online too right? And most people still get “junk mail.” But it was never junk to me. This got me thinking about the similarities between old-school direct mail and present-day online marketing using emails and autoresponders. We have it good. It’s so much easier and far less costly now. Why Build a Business Email List? Well … first of all … why do you even want a list? Think about it. Why do you want a bunch of names and email addresses? Don’t you really want more traffic to your website, more sales and more zeros going to your bottom line instead? It’s simple. Building a business email list … the bigger, the better … will leverage your traffic like nothing else. And it happens through the magic of email and autoresponder marketing. Most businesses still aren’t doing this. Or if they are, they’re not doing it effectively. The average online marketer usually thinks of only two things. Get the most traffic possible to their website. And convert that traffic into dollars. But when you look at internet marketing as basically those two things, doesn’t it seem that it all comes down to a transaction. A single sale. A single transaction. And that’s a hard way to do business. Sounds to me that this approach is just like owning a brick-and-mortar business where you have to be there yourself or hire someone to be there. Or it sounds like a JOB. But when you think about your website … and other list-building methods … as a lead-generator, there’s a huge paradigm shift. And if you do it right, the more traffic you get, the more leads you’ll get. This means that you’ve got to develop a process … an ongoing process … that converts those leads into sales. And then repeat sales. +++ Website Traffic = Lead Generation = Lead Conversion = Big $$$$. If you change the focus of your website to one of building a business email list, you’ll dramatically increase your sales … and repeat sales … like crazy. So many businesses put up a beautiful … some of them are amazing … website. And then wait for the sales to start rolling in. They usually don’t. Not if that’s all they do. How Do You Build A Business Email List? Well … first of all … you build a list by having someone hand over their email address. To you. Simple right? But why would they do that? I guarantee you that in today’s cynical, untrustworthy, fearful and make-a-stand world, people usually aren’t giving you their email just because you ask for it. Especially online. But they might if you offer them SOMETHING FREE in exchange for it. Something they think is valuable and that they think they really need. That free something can be ongoing news and updates, a newsletter or a free e-course. But the best thing you can offer is something they get immediately. Information they want now. A Free Special Report, a video or even an audio. I like Special Reports or Buzz Pieces as I call them. This free offer becomes the turbine … the RBI producer, the power plant … for all of your lead generation efforts. · Opt-in forms on your website. Put these on every non-selling page on your website. · Squeeze pages. Single pages dedicated only to getting a sign-up. You drive traffic to them and they allow one thing --- an opt-in. · Pop-ups on your site. I hate them personally. They’re annoying but they are effective. · Onsite calls to action – Banner ads, links, even content. Now what do you do when you start compiling your business email list? Well, you follow up with everyone on it. And you want to develop a relationship with as many of them as possible. Build trust. Let them know that you are who you say you are. And you’ll do what you say you’ll do. Kind of like in the real world right? Sure some of them will opt out. But that’s a good thing. You don’t want to waste time trying to get to know someone who doesn’t want to reciprocate. It’s a weeding-out process. And you do this with a series of autoresponder emails or original, one-time-only emails. Go to my Autoresponder Marketing page to learn more about these. But it’s essentially two things you’re trying to do. If it’s a prospect … who doesn’t know you … you’re trying to be the guy on the barstool. Hanging out. Maybe trying to get to know them. Friendly and trying to develop a rapport. But if it’s someone who’s already bought from you, it’s a little different approach. You’re the expert. The go-to gal. And that’s what generates those amazingly profitable follow-up sales. In your emails, you can’t just write anything. Any way you want. There’s a formula I use for every single email I write for a client. · Don’t sell, sell, sell. · Be personal. Hanging out with them. Or the trusted expert. · Don’t make promises you can’t deliver on. 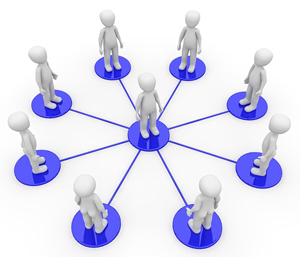 · Ease into and provide several links back to your primary selling page. 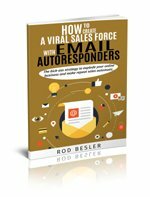 Creating killer autoresponders and emails isn’t easy if you haven’t been trained and don’t know the formula. Believe me, I’ve studied this stuff for a long time and am still learning. If you need some help with your emails or your autoresponders, it won’t cost you a cent to contact me now. Send me an e-mail ... to peejaybee@comcast.net ... and maybe I can help you create the dynamite email autoresponder series you need to make your efforts at building a business email list actually pay off.